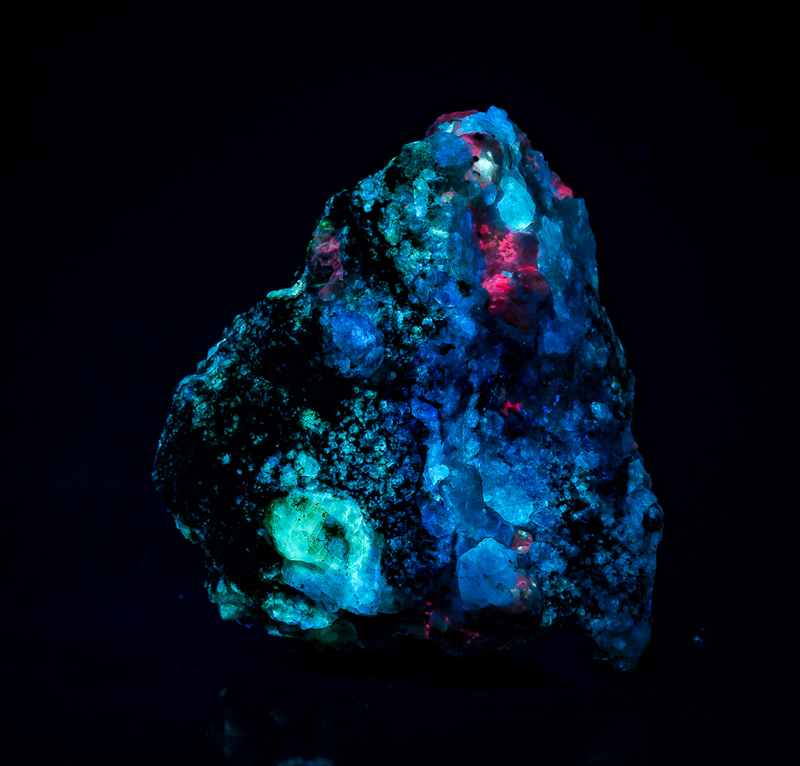 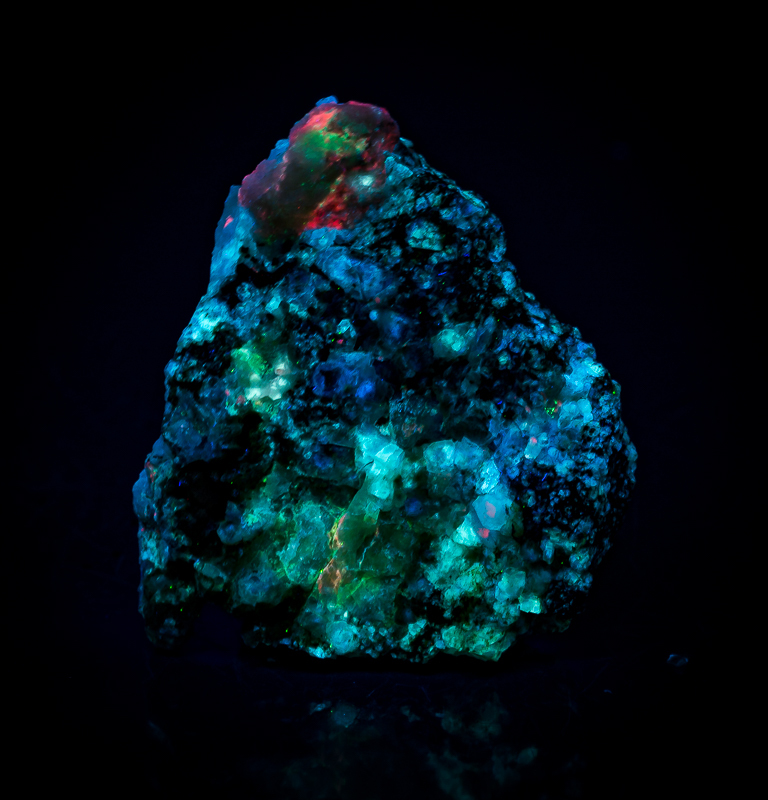 Photos 1 in UV-SW, 2 in UV SW+LW combined last in natural light This combination of fluorescent minerals from Taseq Slope, Ilimaussaq Complex, Greenland is known as "Fantasy Rock ". 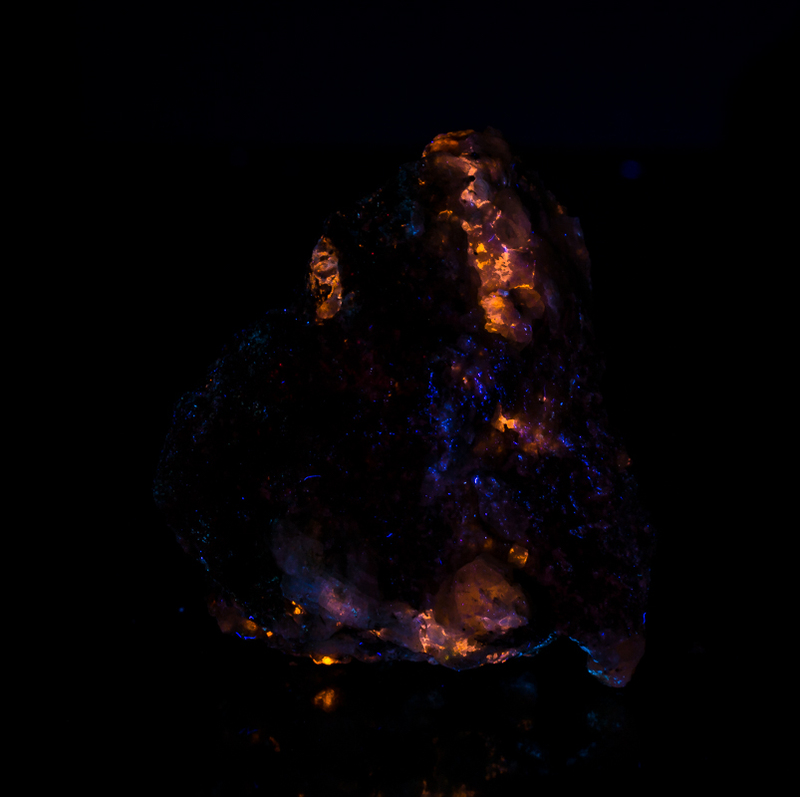 Fantasy Rock is a combination of tugtupite, sodalite, analcime, chkalovite, natrolite and other minerals. 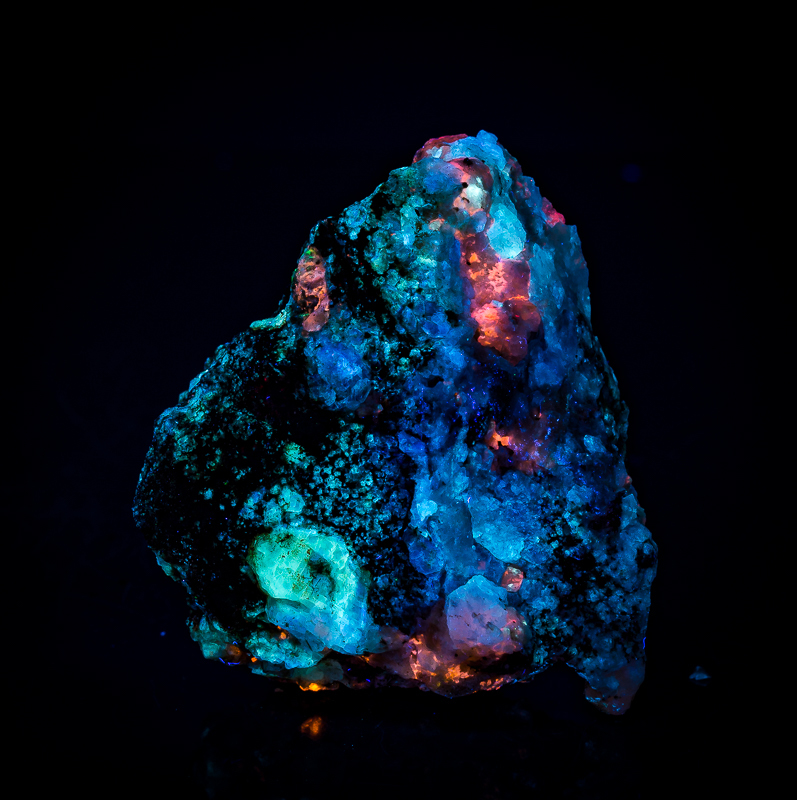 Cherry red isTugtupite, Green is uranyl activated Natrolite, (there are other green uranyl activated minerals as well), light blue is Analcime, Sodalite is orange in UV-LW. 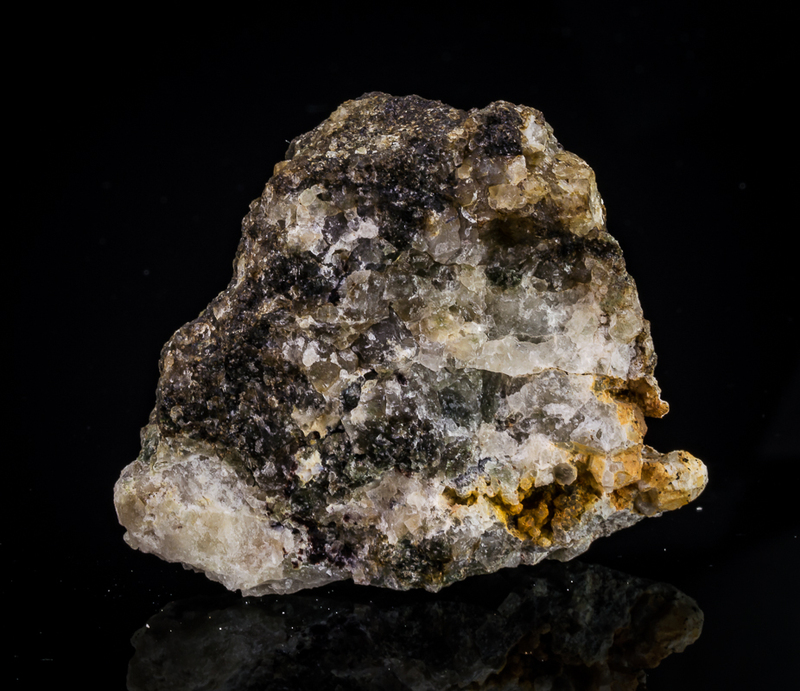 Chakalovite sometimes surrounded by a ring of cherry red Tugtupite can be either white or magenta.